With the big announcement yesterday, it would be hard to top the excitement, but day nine of the “Not Just a Sunsuit” tour has SIX different looks. Seriously guys, these bloggers have knocked it out of the park! 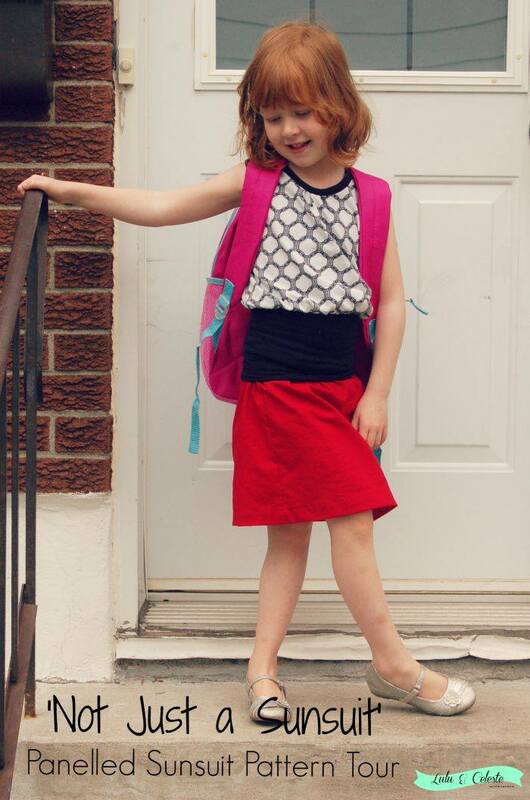 I adore this school uniform look that Veronica from sewVery made for her girl. She added some really nice personal touches that you won’t want to miss. See the full post here. Sarah from The Crazy Tailor made pretty much the coziest skirt you’ll ever see. I love the whole look so make sure you stop by and give them some love! Seriously? Isn’t this picture dreamy? 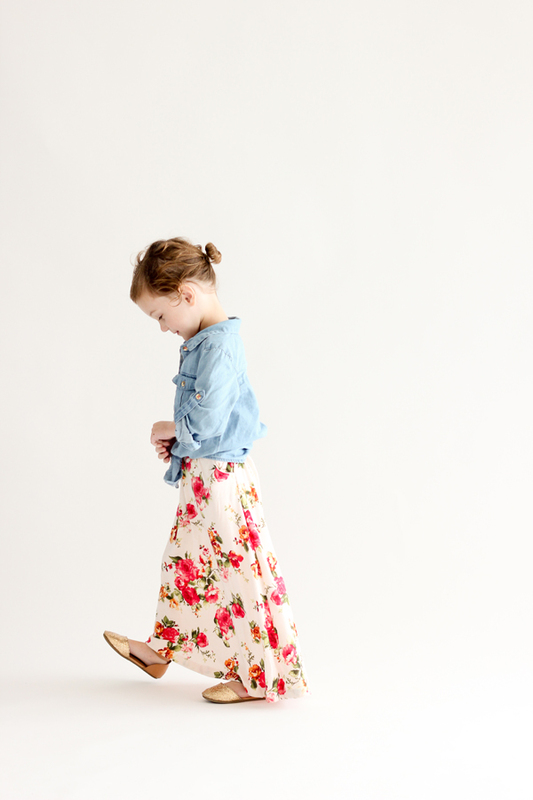 Delia of Delia Creates made a floral maxi that is styled just perfectly. This post almost makes me wish summer could last just a little bit longer. Almost. 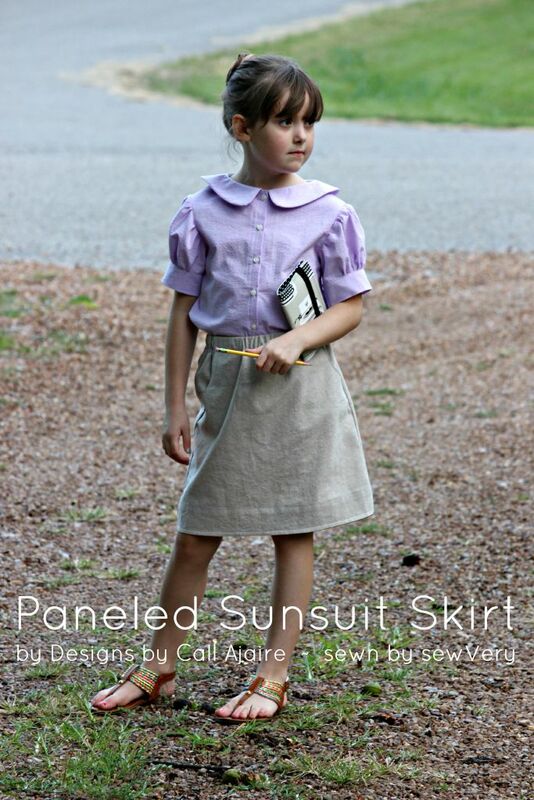 Now, you don’t see a skirt in this preview pic, but trust me there are skirts in the full post that you’ll want to see. 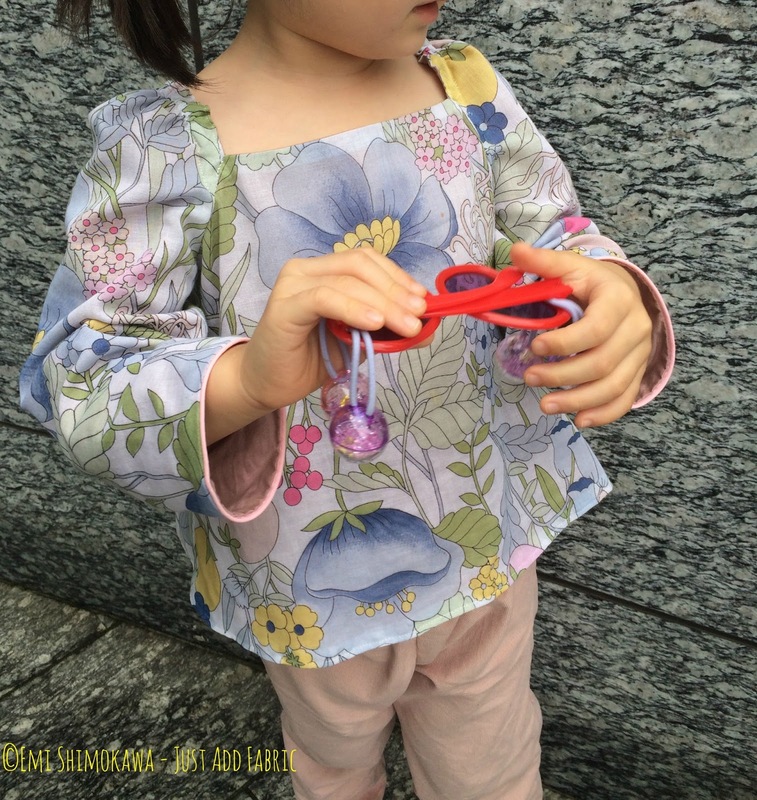 Emi from Just Add Fabric made a bunch of separates, including this gorgeous top with the long sleeve add-on and a few modifications that you’ll love! 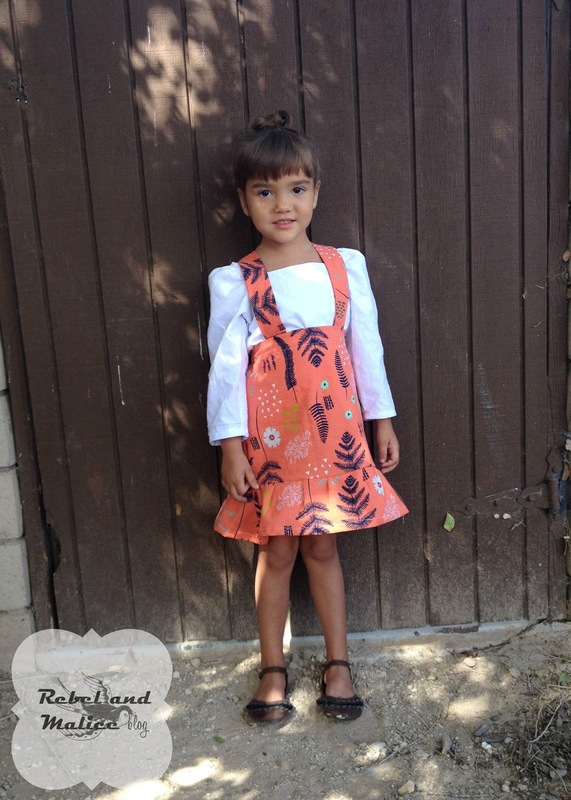 This skirt is modified one from the Paneled Sunsuit pattern, but would you believe the top is also? Melissa from Rebel and Malice also used the Long Sleeve Add-On to make a top that brings this look together. I love the crisp white color! Check out more pics of her chic girl here. Last on the tour for today is Ula from Lulu & Celeste showing another great school look. Visit her full post here.